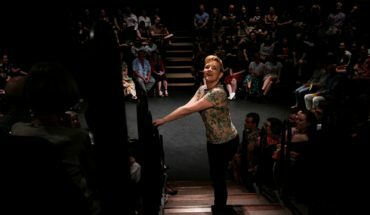 Directed by acclaimed performer Moira Ficune, Shanghai Mimi transforms the Riverside Theatre in Parramatta into a Shanghai cabaret club in the 1930s. Ficune brings a seductive performance of glitter and gold, with a generous dash of sparkling sequins for the Sydney Festival. The inspiration for the show is a special one. It was an box of old Chinese records that were unearthed from a forgotten EMI music warehouse in Mumbai that anchors the inspiration and soundtrack for the show. The stunning live band performs shidaiqu music, a special hybrid of Chinese Folk music and brassy Jazz that was performed in the melting pot that was 1930s Shanghai. Arriving at the theatre, the audience is arrested by Shanghai’s bold personality with sounds of noisy traffic and honking horns. The front rows of the theatre have been converted to cabaret style tables. Red lanterns occupy every visible space and everything glitters. The performance stars the Qinghai Acrobatic Troupe, who hail from beyond the Gobi desert. They create magical moments from twirling diabolos, spinning plates, balancing pots, juggling hats, and hula hooping. Act by act, the Qinghai acrobats present a well-rehearsed acrobatic portfolio. 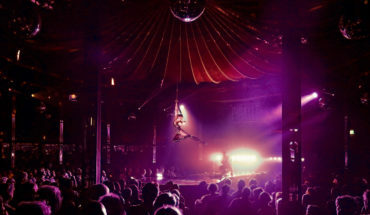 A particular highlight is a dazzling duet of two performers who encircle each other in black and red silks above the audience’s heads. Music director John McCall creates bill of songs that are deeply familiar but still intriguingly foreign. Melbourne based indie-pop singer Sophie Koh steps into the shoes of Shanghai Mimi, the ritzy owner of fictitious club and sings in both Mandarin and English. Uniquely, each musician has a chance to share their talents in the spotlight. There are excellent solos by Toby Mak on the trumpet and Brennan Hamilton-Smith on the saxophone. This includes a special performance by Cameroonian dancer Simon Abbe who brings a jazzy version of ‘Nobody Knows You When You’re Down and Out’ to the stage. While Shanghai Mimi is successful in immersing the audience in 1930s Shanghai, it misses the chance to present a modern nuanced understanding of the East in favour of a nostalgic and sentimental version. Nevertheless, the evening is an indulgent one and never fails to enrapture and mesmerise the audience. Erika Ly is a photographer and explorer, a fiend for small bars, hidden spaces, and creative places. Follow her on Instagram at @erika.ly. Shanghai Mimi is on at the Riverside Theatre 10-20 January 2019 as part of the Sydney Festival. 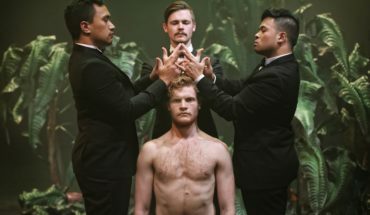 Read The Plus Ones’ guide to the best of the 2019 Sydney Festival, and read all our coverage. Disclosure: The Plus Ones were invited guests of Sydney Festival.